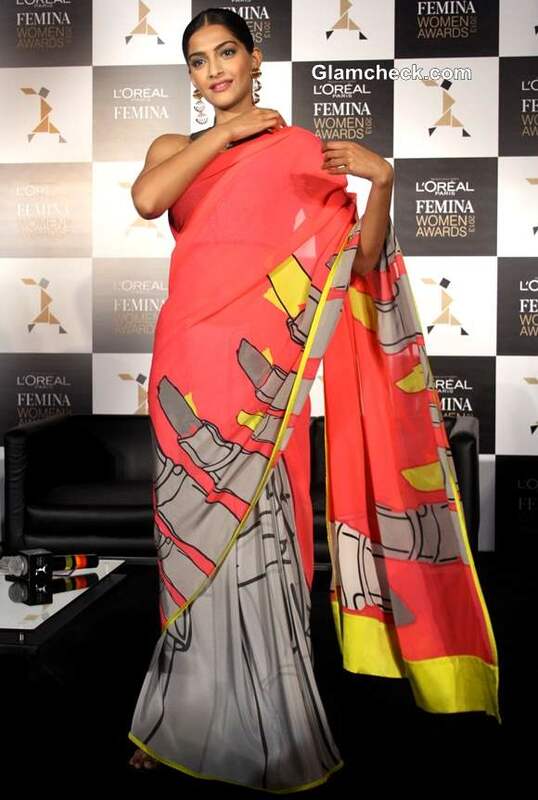 In this masaba for Satya paul lipstick print saree Sonam Kapoor shows just how fabulous contemporary prints can look when gone desi. In Yogesh Kapoor pac-man sari Sonam rocked this look making it look so pretty and fun. Which print do you think sonam rocks best?